Hydraulic Fittings offered come designed and developed using latest technology support so as to provide for consistent performance and lasting usage. 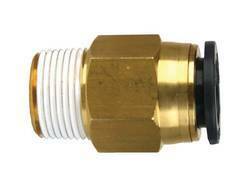 The areas these hydraulic fittings find use in include petrochemical, chemical industries and others. Some of its features include high contamination retention capacity, flow direction from out to into maximize stability, providing for excellent flow fatigue stability, allowing for longer equipment life, ensures less downtime & high system efficiency, assuring for less energy loss, longer fluid life and lower operating costs; can be made available to OEM specifications as demanded by the customers. 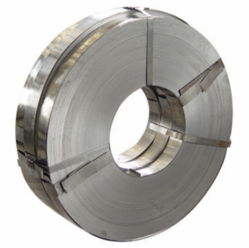 We are engaged in offering a wide range of Nichrome Strip. Catering to various industries, this range is manufactured using qualitative raw-material sourced from the famed vendors. Nichrome is a non-magnetic alloy of nickel, chromium, and often iron. Nichrome products are corrosion-resistant and confer relatively high electrical resistivity. We deliver them as per the exact preferences of our clients. 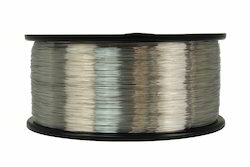 Kanthal Strip A-1 is a ferritic iron-chromium-aluminium alloy (FeCrAl alloy) for use at temperatures up to 1400°C (2550°F). The alloy is characterized by high resistivity and very good oxidation resistance. 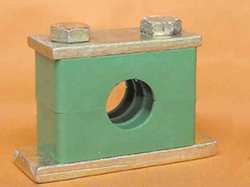 We offer our clients, a wide range of Pipe Clamps. These are used in different industry to join various pipe clamps entities. They possess the features of high dimensional accuracy, corrosion resistance, high efficiency and durability. 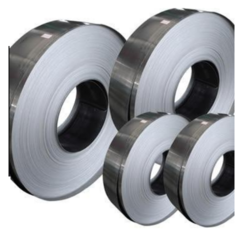 We are engaged in offering of Nichrome Wire 80/20 grade as well as in Kanthal Wire. Catering to various industries, this range is manufactured using qualitative raw-material sourced from the famed vendors. Nichrome is a non-magnetic alloy of nickel, chromium, and often iron. Nichrome products are corrosion-resistant and confer relatively high electrical resistivity. We deliver them as per the exact preferences of our clients. 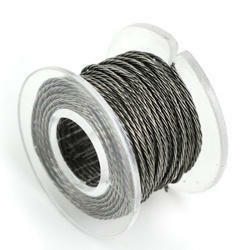 We are engaged in offering Kanthal Wire to the clients. Male Connector are standard in Stainless Steel 316, 316L & Brass and are available in special materials & alloys such as Alloy400 (Monel), Alloy 600 (Inconel), Alloy 625 (Inconel), Alloy 825 (Incoloy), Alloy C-276 (Hastelloy C), PTFE, Alloy 2205 / UNS 32205 (Duplex), Alloy 2207 / UNS 32750 (Super duplex) & UNS 31254 (Incoloy 25-6MO). Looking for Nichrome Products ?